A team of drain engineers from Direct Drain Services were recently busy installing a drainage system in a car park for a property management company in Sidcup. During and after rainfall, water would pool around the drains, causing flooding and inconvenience to the residents. To solve this problem, two new surface water gullies were installed and new pipework laid to the surface water manhole chamber. The team of drain engineers dug out the existing gullies and set two more substantial replacements in lean mix concrete. The pipework connecting gullies to the manhole was then laid with correct fall, bedded on and surrounded with 10mm pea shingle. Gully grates were then fitted to the finished Macadam level and all excavations back filled with concrete. Once all work was completed the car park area was resurfaced using 6mm SMA for a quality finish. With a depth of expertise and experience in commercial drain systems, Direct Drain Services are able to offer drain repairs and maintenance services for all types of commercial facilities and premises. If you are experiencing similar problems with the drainage of your car park, why not contact us today to arrange a site visit with one of our skilled engineers? 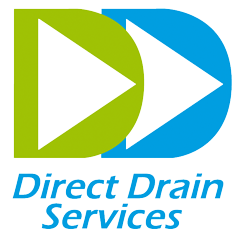 For all aspects of drain cleaning, clearing blockages, repairs and maintenance in Sidcup, South East London and surrounding areas in Surrey, Middlesex and Berkshire, please be sure to contact Direct Drain Services.